If you want to move more quickly and gracefully while still maintaining body control, then agility training may be just what you’re looking for. Armed with the right tools, you can train efficiently and effectively. While agility training can help your overall athleticism, it’s also great for your day-to-day activities as well. Training your body to be agile will help prevent injury by strengthening your muscles as well as by improving your balance and coordination. Tools like agility ladders, cones, hurdles, jump ropes, and box jumps can help you with “quick feet,” endurance, and coordination—so read on to find the right tools for you! While you’re at it, if you want to add in even more interesting routines to your training sessions, check out our favorite tools for incorporating resistance training into your workout. Whether you play sports, you’re just looking to increase your overall athletic performance, or you’re trying to lose weight, an agility ladder may be able to help. Just place this 11-foot ladder flat on the ground and move as quickly as you can over the 8 heavy-duty plastic rungs. Move laterally to work on your body’s adjustment to changing directions, while also moving forward to work on quickness and acceleration. You use this ladder indoors and outdoors, although for intense workouts it’s useful to be outside where you can easily stake the ladder down to the grass. 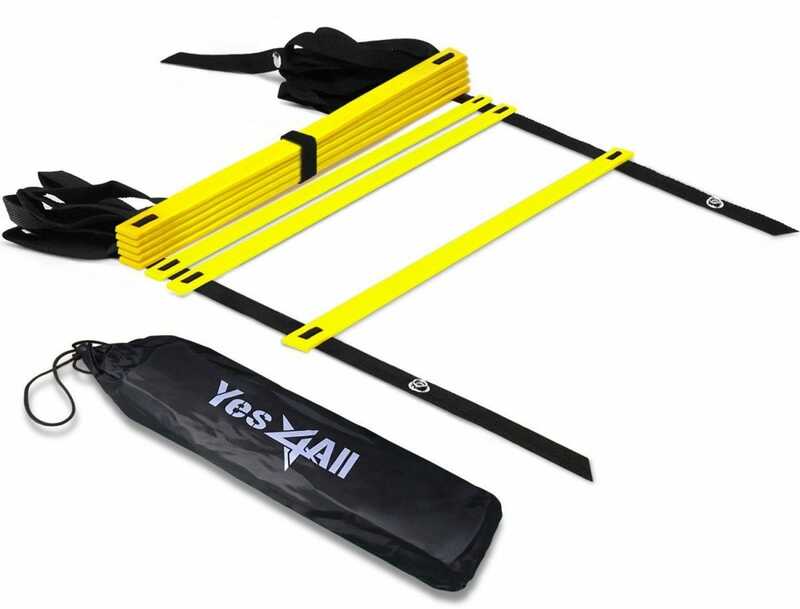 Like the Yes4All Agility Ladder, agility cones are also great for sports training and physical improvement. 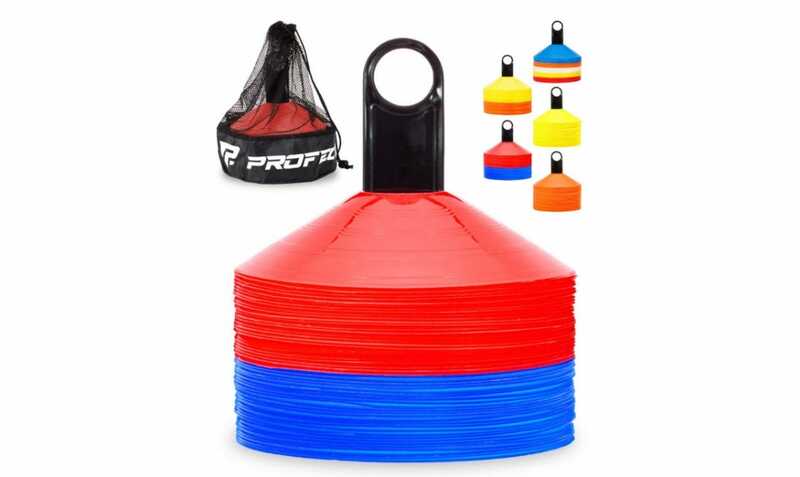 Use these Profect Sports Pro Disc Cones indoors or outdoors—anywhere you have space to do agility drills. You can weave between cones, run between them to work on quickly changing directions, and even work on accelerating and decelerating. They can also be used for targets and boundary markers in gyms and on fields, courts, parking lots, and more. The cones come in a set of 50 bright-colored cones that are easy to see and don’t fade in the sun. Along with the cones, there’s even a cone caddy, mesh carrying bag, and an eBook that has 15 speed and agility cone drills. The Profect Sports cones are also super durable, bouncing back to their original shapes after being stepped on over and over again. 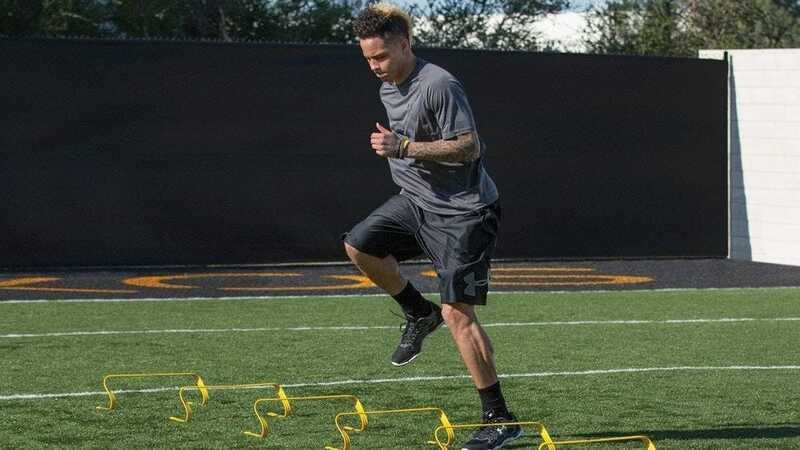 If you’re looking to output the maximum about of power and speed no matter the sport, then start training with the SKLZ Hurdles. Similar to our last two entries, this pack of 6 hurdles trains your body’s explosiveness while adding in a plyometric workout (or “jump training”). 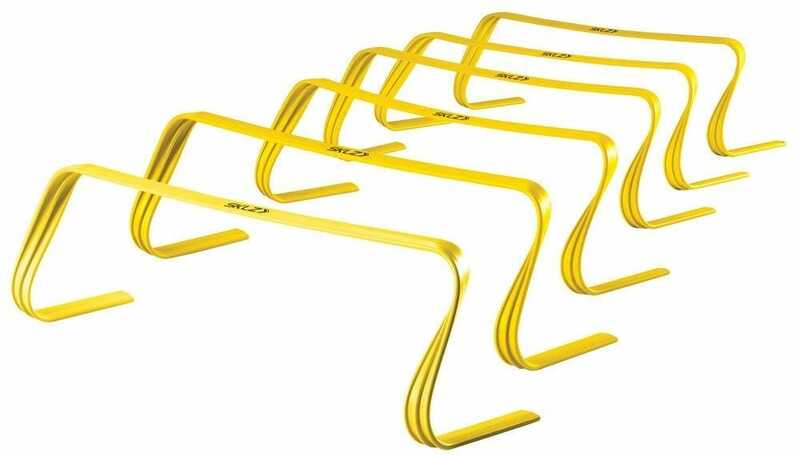 SKLZ Hurdles have a sleek design that is lightweight yet durable, being able to withstand and bounce back from the toughest athletes landing on them. They’re 6 inches tall and have a sturdy base that doesn’t get knocked over very easily. Plus, because they’re so light, if someone training with these hurdles trips, they won’t get tangled up and hurt themselves. If you’re looking for a set of hurdles in different sizes (and at a cheaper cost), the check out the QuickPlay PRO Hurdles, which is a set of six adjustable hurdles. Want an agility training tool that doesn’t require sprinting? With a jump rope like this Survival and Cross jump rope, you can tone your body while improving your coordination, agility, and stamina. The high-quality jump rope isn’t like your normal elementary school jump rope—it’s a heavy-duty rope that can withstand high-speed skipping, double unders, and high-intensity interval training workouts. 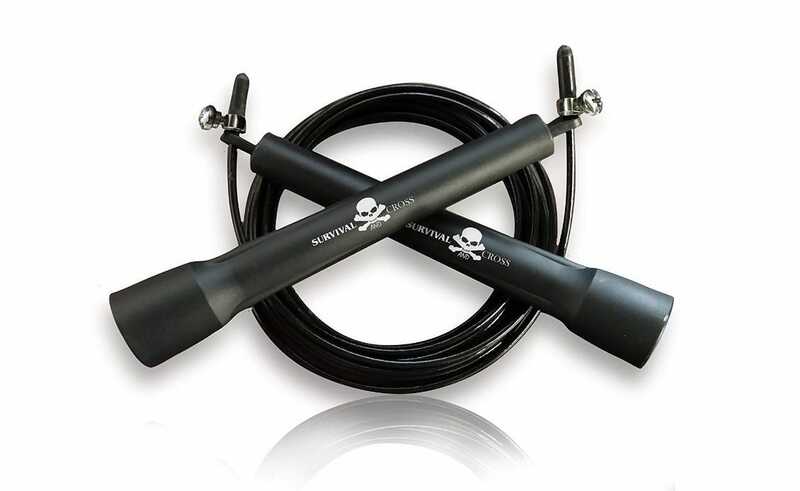 Whether you’re a beginner or advanced, this jump rope is perfect for all levels of fitness. With comfortable, easy-grip handles and ball bearings attaching the handles to the coated wire rope, you can jump with speed and precision. Even adjust the length of your rope by loosening the screw on each handle. Plyometrics, or jump training, A lot of plyo boxes online are sold individually and can become expensive if you buy multiple at a time. In addition to the expense, many box designs are difficult to store. 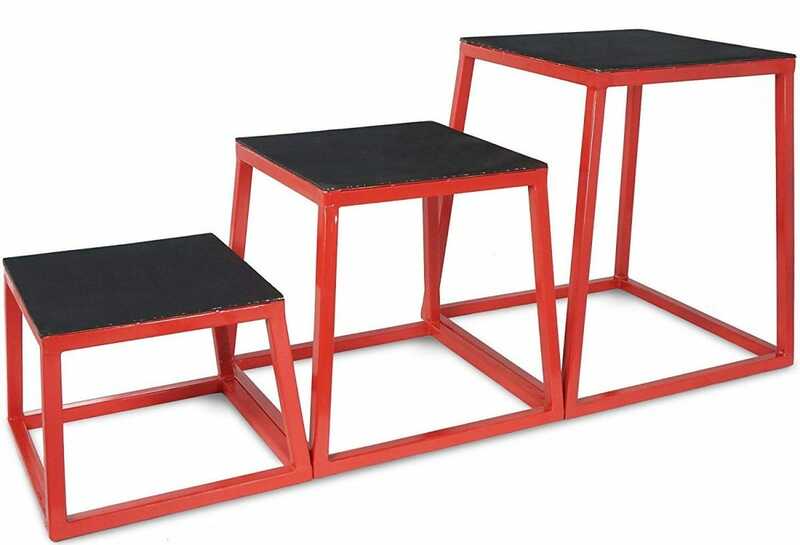 While the Titan Fitness Plyometric Box Set isn’t cheap, it does come with three box jumps at a lower price than a lot of other sets. These steel boxes are built to last and can withstand the weight of even brawny athletes. Titan Fitness boxes are stackable, so you can place the 12”, 18”, and 24” boxes on top of each other for easy storage. Also, the top of each box has a slip-free surface for your safety. Not only can you work on your box jumps (which can focus on your vertical power and coordination), but you can also do push-ups, dips, step ups, and so much more!